Looking back, Linda realizes that she was always a hyper-sensitive, very shy child. She had strong empathy towards other suffering children, particularly developed when she had open heart surgery at the age of 5. A broken family brought multiple struggles during her youth. She was a "late bloomer" in social circles, and never really felt like she belonged anywhere until her psychic gifts began to shine. In her twenties, Linda began to have "random hits" that surprised her. The most significant was a prediction she made as the result of a dream, that Skylab would fall to earth near Perth, Australia. She boldly reported her dream to the Perth newspaper and the article and letter from the Editor are her documentation of that "hit." Shortly thereafter, Linda attended and graduated from a nine month psychic development school in Berkeley, California called Heartsong. Since that time, she has done more than 25,000 readings for clients around the globe. In the early l980's, Linda developed her Lightworker Intensive course. She has trained more than 1000 people to access their intuition on demand. Linda also started Angel Love Healing Center in the early 1990's and has worked with folks with HIV/AIDS for many years. Along the way, Linda took time to host and produce her 24 week TV show on Cable in LA, called The Natural Psychic. She also wrote a book called: Relieving the Burden of Self. 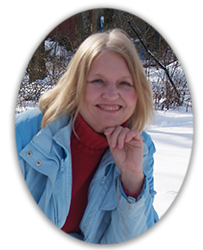 Linda has done extensive traveling, and has lived in 8 states, Europe and Mexico. She makes her home in Ohio with her husband Steve and their many pets. Linda Schiller-Hanna enjoys cooking, studying the works of Joel S. Goldsmith, and painting. The arc of her life has taken a number of turns, but every day brings deeper joys and meaning. She looks forward to helping any seeker find resolution with their life blocks and struggle. If you feel resonance as to being part of my soul group, I look forward to getting to know you!